It is usually not good when the trademark office considers the whole text of your mark to be generic, as the registration for DIY AUTO REPAIR SHOPS demonstrates below. When you want to use a generic element in your mark to describe the goods or services offered, it is usually better to combine that with a unique text element so you have something protectable, to which your reputation can attach. 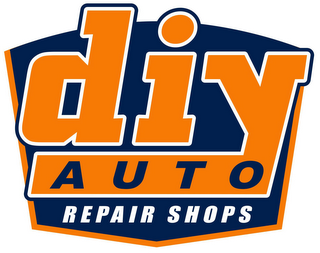 DIY AUTO, LLC applied to register the DIY AUTO and design, shown below, for the services of providing a website featuring information about automotive maintenance and repair service. The Examining Attorney refused registration based on DIY AUTO REPAIR SHOPS and design, shown below, registered for the services of a do-it-yourself vehicle repair shop. Here, given DIY AUTO and DIY AUTO REPAIR are generic, all that is left for the trademark registrations to protect is the stylistic (logo) presentation–i.e. the blue and white badge-like logo of the first mark and the orange and blue badge-like logo of the second mark–but not the text alone. That’s not a lot of protection considering consumers can use or encounter the mark audibly or orally. Indeed, words are often used by customers to refer to or request goods/services. See e.g. TMEP 1207.01(c)(iii). 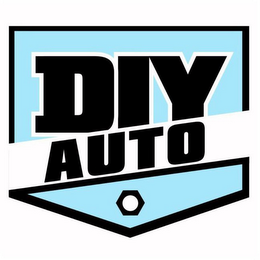 The terms DIY AUTO are telling customers what they get in connection with auto repair and auto repair information, but the mark owners are not staking out any substantial ground that can distinguish one source of goods/services from another, apart from the graphics. Each of these marks are or will be registered, but the scope of protection is narrow. It would be better if these parties attached DIY AUTO to a protectable text mark, e.g. ACME DIY AUTO. That way each could build brand recognition in the protectable text (ACME) and also inform customers what they get (DIY AUTO).